What has to happen to protect Scott Ranch from development? Davidon Homes, which currently owns the property, has agreed to sell the most environmentally sensitive 44 acres of the land to the Kelly Creek Protection Project for $4.1 million. This part of the property is also the most viable portion of the land to protect as open space for public enjoyment. 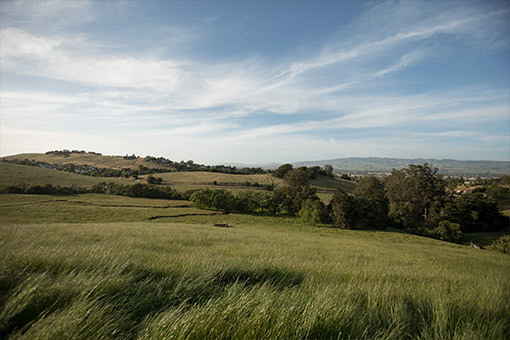 Before Davidon transfers title to us for the 44 acres of parkland, our agreement requires approval from the Petaluma City Council on Davidon’s plans to develop 28 homes on the north side of the property. The Sonoma County Regional Parks District wants to expand Helen Putnam Regional Park to include this land, provided public and private funds are available to help construct park improvements – including building trails and providing parking and restroom facilities. The Sonoma Land Trust currently holds $1 million that could be used to pay for such improvements, and the community has already raised more than $200,000 toward this effort. Earth Island Institute’s Kelly Creek Protection Project has reached and surpassed $4.1 million to date in its Putnam Park Extension Fund to purchase most (44 acres) of the Davidon land. A portion of these funds will come from a $1 million matching grant from the Sonoma County Ag + Open Space District. Also, the Sonoma Land Trust holds $1 million that may be used for conversion of Scott Ranch to public parkland. KCPP will discuss how best to use these additional funds to develop the Putnam Park extension with the land trust, Petalumans for Responsible Planning, and Sonoma County Regional Parks. How was the compromise of allowing Davidon to build 28 homes in the case of a partial purchase reached? What happened to the option of acquiring the entire property for $11 million? After KCPP met the deadline for the purchase of 44 acres by depositing $4.1 into escrow by September 1, the Purchase and Sale Agreement allowed another three months (to December 1) for KCPP to raise another $6.9 million to acquire the whole 58 acres. We successfully raised $230,000 more but fell short of the complete buyout price, so we will be unable to exercise the full buyout option. The extra funds we did raise, as well as future donations and grants, will go for park improvements, operations, and maintenance, so the public can access and enjoy this extension of Putnam Park. Will there be an environmental review process open to public comment and public hearings? Yes. There will be an environmental review of the 28-home project and the Putnam Park Extension Project. The public will have the opportunity to comment on both projects and the associated environmental review and to testify at hearings before the Planning Commission and City Council. How will the California red-legged frog and other wildlife species be protected? 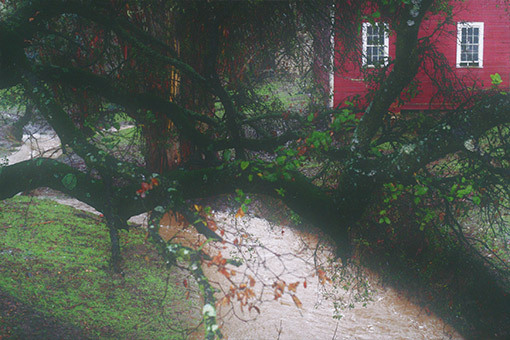 This property contains some of the best habitat for the threatened California red-legged frog in the region, including a viable stock pond and deep creek tributaries. By protecting Kelly Creek and the land surrounding it, this habitat is preserved – providing an irreplaceable haven for this species and others that rely on a healthy riparian and aquatic environment. How will the park development, maintenance, and operations be paid for? KCPP has already raised more than $200,000 toward development of key aspects of the park (such as trails, restrooms, and parking). KCPP intends to ask the Sonoma Land Trust to devote the $1 million grant it is holding for this park project to help pay for these improvements, after consulting with Sonoma County Regional Parks and Petalumans for Responsible Planning. KCPP will continue to seek public and private funds to restore and improve the wildlife habitat, the ranch buildings, and the public experience. Once the land is donated to the Regional Parks District, the district will maintain and operate the park as it does many other parks in the county. How does this 28-lot housing subdivision plan differ from what Davidon proposed the last time, in 2017? Is this the same as the 28-lot alternative described in the Draft EIR in 2017? The subdivision for which Davidon Homes is seeking approval as part of this agreement is a more modest version of the 28-lot design previously included as an alternative in the EIR, and significantly smaller than the 63-unit development Davidon was pushing for at that time. The new project plan is for mid-range, not luxury, mostly single-story homes. It includes an increased buffer between the housing development and the parkland and existing homes, and will have fewer impacts on views for existing neighbors. Why were the negotiations conducted privately between KCPP and Davidon? After a few months of preliminary conversation in late 2017, it became clear we were ready to work toward a Purchase and Sale Agreement, solely between Davidon as seller and the Kelly Creek Protection Project as buyer. As a fiscally-sponsored project of the 501(c)(3) Earth Island Institute, KCPP was in a position to bring in large tax-deductible donations and grants to make such a purchase. The process had to be strictly confidential because of the sensitive legal and technical issues that needed to be resolved. This is standard procedure for major land transactions. Now that we’ve reached a compromise that both the Kelly Creek Protection Project and Davidon Homes can support, the residential and park plans will go through a full environmental review process with multiple opportunities for public comment. Could the negotiations between KCPP and Davidon have been conducted more openly? Keeping the talks, legal provisions, and architectural designs confidential between KCPP and Davidon until buyer and seller were in agreement on all points was the only way we could have reached a compromise that permanently protected most of Scott Ranch. Only through this confidential process could we determine Davidon’s bottom line on key issues: the price for the Scott Ranch property, the maximum number of houses that could be built, the interface between the residential project and the park land, who would pay for what, the timetable, the elements compatible with Sonoma County Parks, and much more. Now that we know what Davidon will agree to, the purchase and sale agreement will legally hold them to it. What is the timeline for review and approval of the proposed development plan put forth by KCPP and Davidon Homes? Project applications for Davidon’s home development and KCPP’s proposed park extension have been submitted to the City of Petaluma and are a matter of public record. A revised draft environmental impact report that will address the requirements set by the California Environmental Quality Act (CEQA) will be prepared by the City as the lead agency reviewing the revised project. We expect the review process to be completed sometime in 2019, but exact timelines will be set by the City. The public will be notified by the City throughout the process, and KCPP will also keep you informed. 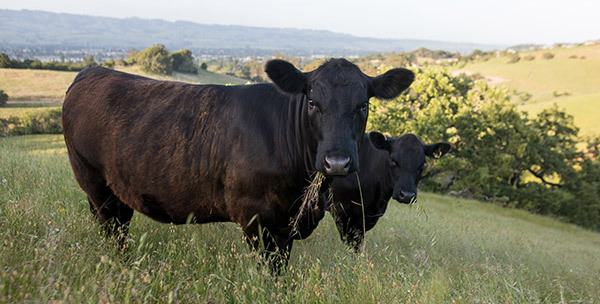 How can the public weigh in on the two proposed options for the Scott Ranch land? There will be a public comment period on the environmental impact report and the chance to appear and testify before the Planning Commission, City Council, and other resource agencies before any decision is made. The final decisions will be made in open public sessions by our elected officials. If the City denies approval of the new park and home development proposal, Davidon Homes will still own the entire ranch. Because the land is zoned for 28 to more than 100 homes, Davidon would retain the right to pursue a larger development at a time of its choosing. Did any City of Petaluma staff participate in the negotiation of the Purchase and Sale Agreement between KCPP and Davidon Homes? No. The negotiations regarding the Agreement were held only between KCPP and Davidon Homes. KCPP notified City officials of the terms of the agreement only once it had been finalized by both parties. Could the City Council declare that no houses can be built anywhere on this land due to environmental problems? Can the City force Davidon to give up the land and donate it for open space and parkland? Davidon Homes owns Scott Ranch and by current zoning designation is allowed to build at least 28 homes there under the City’s General Plan. Landowners cannot be forced to give their property away even if they can’t subdivide and develop it. Refusing Davidon some reasonable economic use of its land could expose the City to a potential “unconstitutional takings” lawsuit. What if the City doesn’t approve the revised EIR for 28 homes? For the partial purchase of the property, the agreement between KCPP and Davidon requires that both the $4.1 million purchase price be raised and that Davidon receive City approval to construct 28 homes on the land. If Davidon does not receive approval for its 28-home proposal, it has no obligation to sell the 44 acres to KCPP. KCPP would then no longer have the right to acquire the 44 acres for the Putnam Park extension and would not receive the $1 million Open Space matching grant for the acquisition. Davidon would be free to reapply to the City to build more than 28 homes or to sell the property to another developer with no restrictions on the property. What would have happened if there had been no KCPP compromise with Davidon? Davidon Homes has indicated it intended to submit an application for a 47-home development, including houses in the pasture in front of the red barns, in the absence of the Purchase & Sale Agreement. The $4.1 million purchase price for 44 acres includes a buy-down of 19 potential homes on the property, making it financially feasible for Davidon to cap the number of homes built at 28. Will donations be used by KCPP to pay for anything other than the purchase of this land? 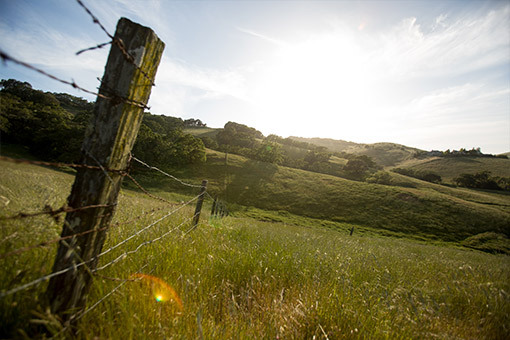 All donations will be dedicated to the purchase of the land and/or related park improvements required before the property can be transferred to Sonoma County Parks. No funds raised from the community will cover any legal fees, the public review process, or other overhead or administrative costs associated with securing approval for the project. A separate account, funded by separate donations, is covering those transactional expenses. After the Wine Country fires, doesn’t Petaluma need this housing? The City of Petaluma is responsible for meeting state housing development mandates. Petaluma currently has a need for all housing types, including mid-range homes like the ones that would be developed as part of this project. The Kelly Creek Protection Project is a sponsored project of Earth Island Institute. Copyright 2018 Kelly Creek Protection Project/Earth Island Institute.